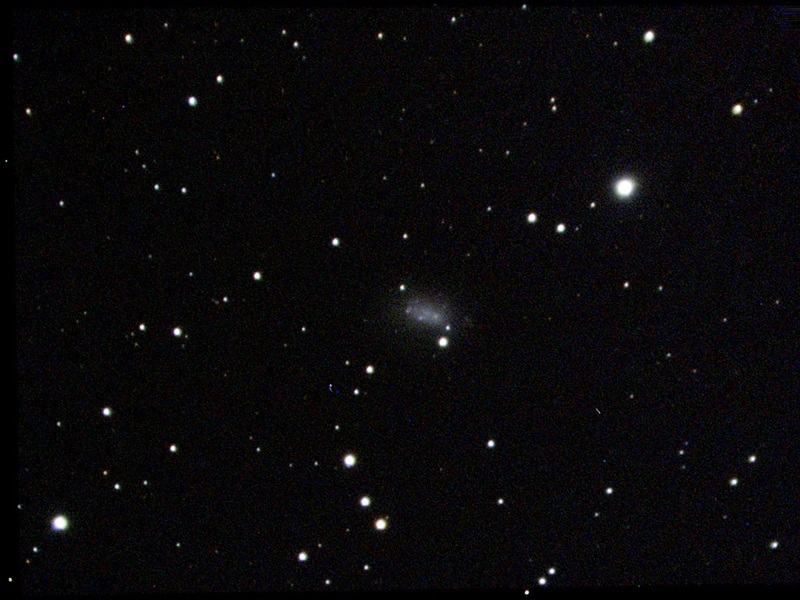 NGC 7640 is a 10th magnitude Spiral Galaxy appearing in the constellation Andromeda. It is 28 million light years from our solar system. 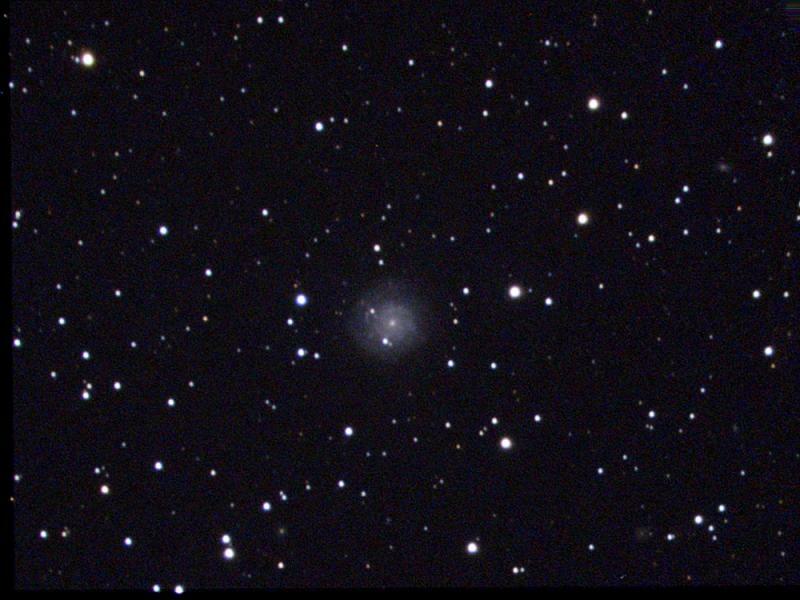 NGC 7640 appears roughly 8.1 x 1.7 arcminutes in size, corresponding to a physical diameter of 65184 light years. It is a spiral galaxy of morphological type Sc, and is receding at 372 kilometers per second - about 0.1% of light speed. Edited by S1mas, 29 September 2018 - 12:48 PM. Great thread and great project! Really enjoying your images. With 25 and 30+ second exposures are you using any cooling on the RT224? Thank you Mike. No cooling, just dark subtraction. Not using 32 seconds anymore. Noticed that this brings star trailing in most part of the sky. Staying for 25 seconds at moment. Do you use a database of darks (different exp. times / sensor temperature) ? And if yes, how managed you the different temperatures? Edited by roelb, 01 October 2018 - 04:45 PM. Hi Roel. Thank you. I have database of darks by gain (2100 and 5000 for my camera), different exposures and temperatures. Step for temperatures usually are by 3-4 degrees. I can't see a difference in outcome if make and use darks for every degree. But somehow I remade darks now, because +7C I made this spring don't work properly +7C now, in autumn. I don't know why. NGC 1156 is a dwarf irregular galaxy in the Aries constellation of the type ibm. It is considered a Magellanic-type irregular. The galaxy has a larger than average core, and contains zones of contra-rotating gas. The counter-rotation is thought to be the result of tidal interactions with another gas rich galaxy some time in the past. 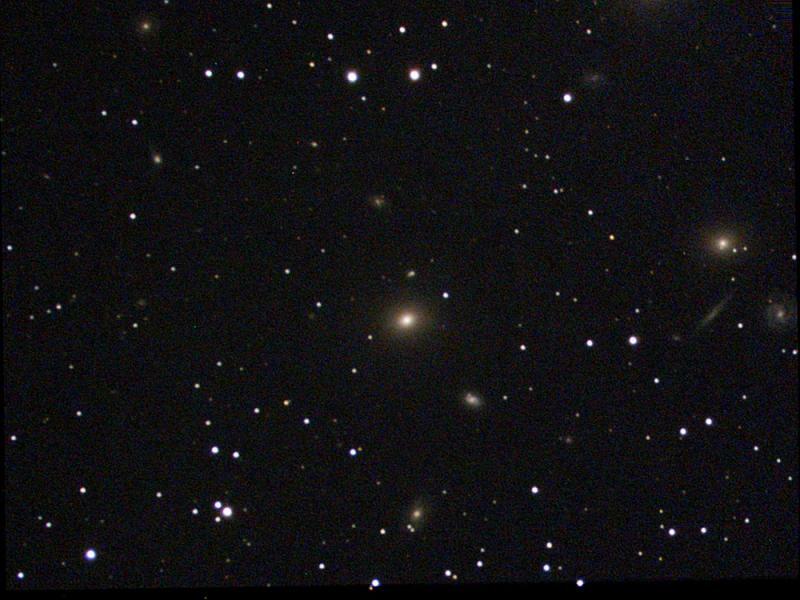 The AGES survey has discovered a candidate dark galaxy close to NGC 1156, one of only a few so far found. It has a H II nucleus. Very low, at 24 deg Alt. 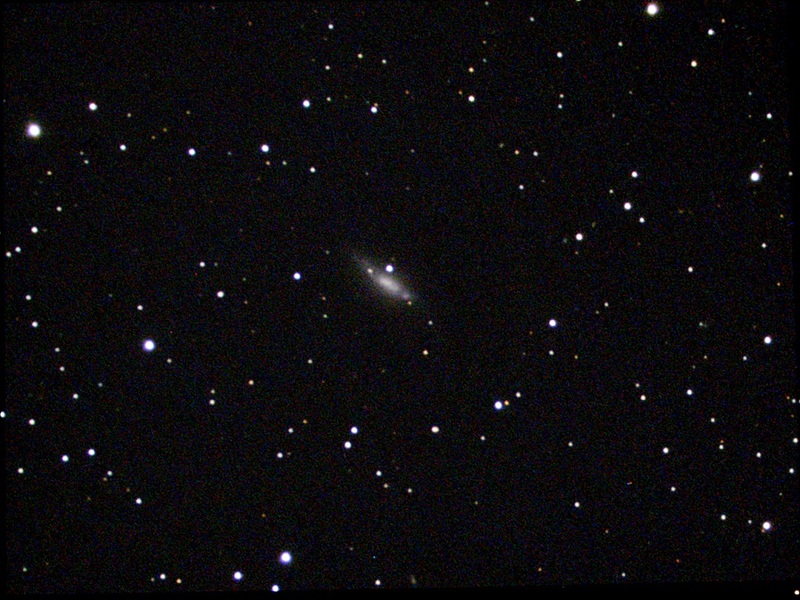 NGC 6814 is a 11th magnitude Spiral Galaxy appearing in the constellation Aquila. It is 79 million light years from our solar system. 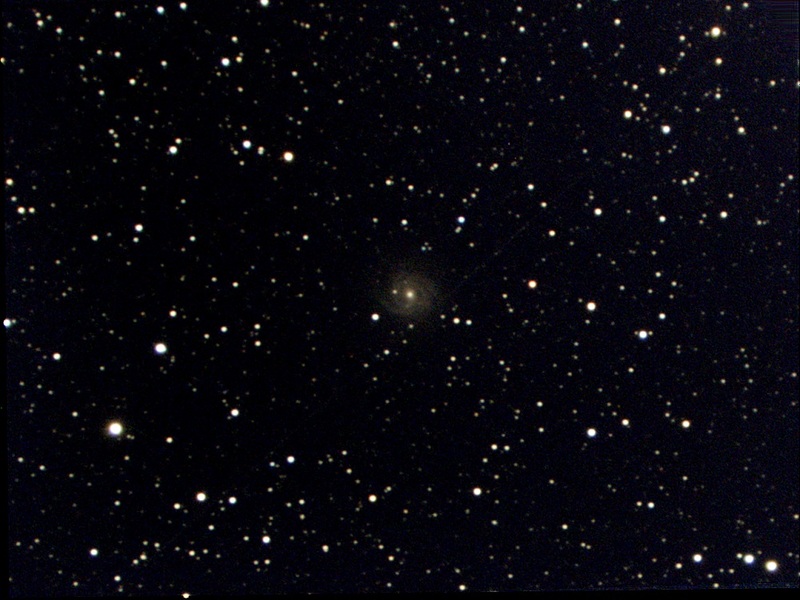 NGC 6814 appears roughly 3.1 x 0.7 arcminutes in size, corresponding to a physical diameter of 70692 light years. It is a spiral galaxy of morphological type SABb, and is receding at 1563 kilometers per second - about 0.5% of light speed. NGC 7156 is a 12th magnitude Spiral Galaxy appearing in the constellation Pegasus. It is 192 million light years from our solar system. NGC 7156 appears roughly 1.4 x 1.2 arcminutes in size, corresponding to a physical diameter of 78033 light years. It is a spiral galaxy of morphological type SABc, and is receding at 3985 kilometers per second - about 1.3% of light speed. 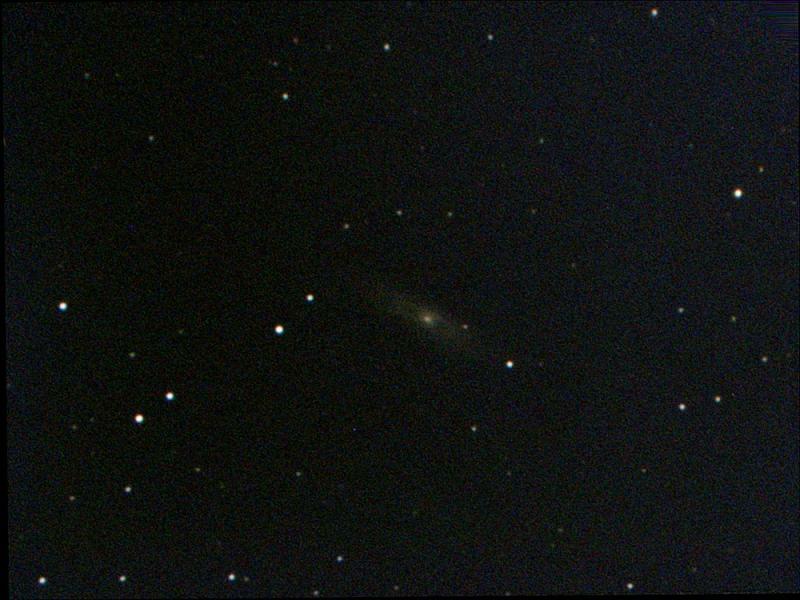 Very low, at highest possible 14 degree for my site, nice galaxy, poor outcome. NGC 7184 is a 10th magnitude Spiral Galaxy appearing in the constellation Aquarius. It is 109 million light years from our solar system. 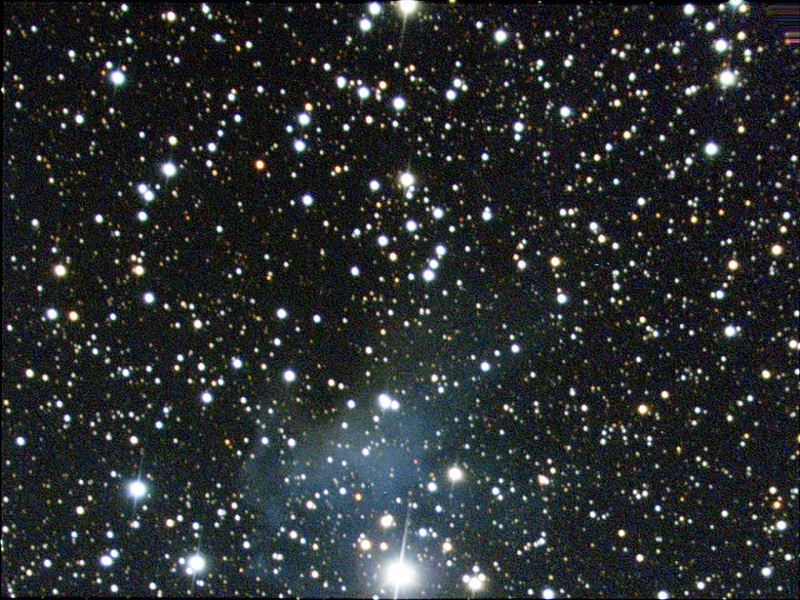 NGC 7184 appears roughly 6.0 x 1.3 arcminutes in size, corresponding to a physical diameter of 191474 light years. It is a barred spiral galaxy of morphological type SBc, and is receding at 2622 kilometers per second - about 0.9% of light speed. 25x30s. Low, at 14 deg. NGC 7392 is a 11th magnitude Spiral Galaxy appearing in the constellation Aquarius. It is 136 million light years from our solar system. 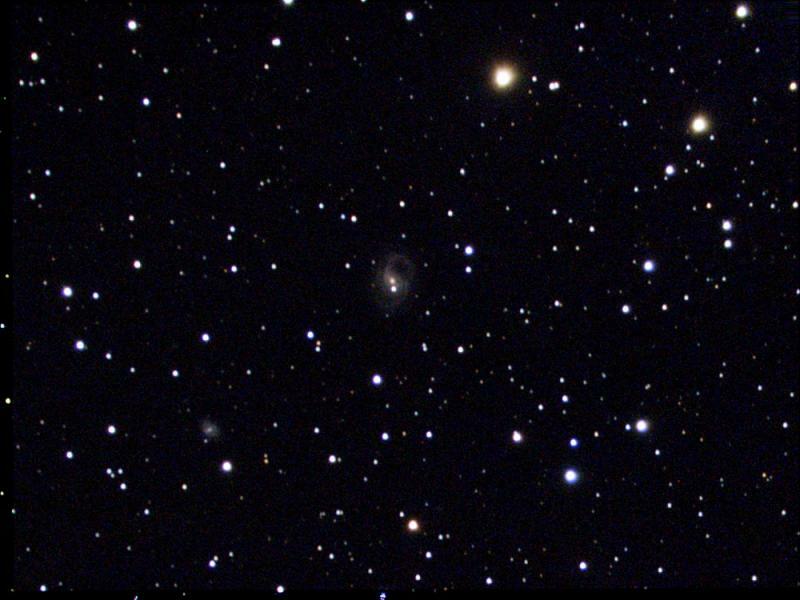 NGC 7392 appears roughly 2.2 x 1.2 arcminutes in size, corresponding to a physical diameter of 88329 light years. It is a barred spiral galaxy of morphological type SBbc, and is receding at 3156 kilometers per second - about 1.1% of light speed. 17x30s. Low, 12 deg. So observation just for record. NGC 7377 is a 11th magnitude Spiral Galaxy appearing in the constellation Aquarius. It is 155 million light years from our solar system. NGC 7377 appears roughly 3.9 x 3.1 arcminutes in size, corresponding to a physical diameter of 176632 light years. It is a spiral galaxy of morphological type S0-a, and is receding at 3355 kilometers per second - about 1.1% of light speed. 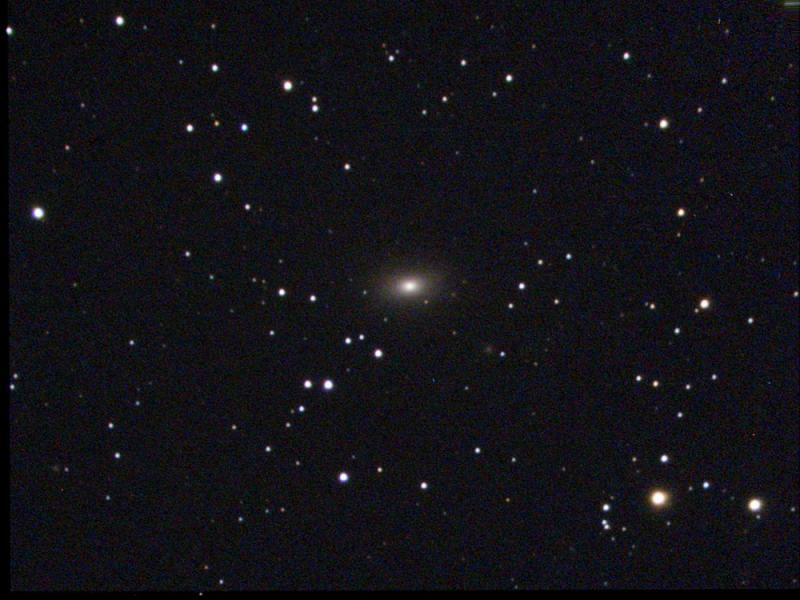 At a distance of about 250 million light years, the elliptical galaxy NGC 7619 is near the center of the Pegasus I cluster of galaxies. It forms a triangle with the galaxy NGC 7626 7 arc minutes to the east and a 10th magnitude star to its north. NGC 7619 is the brightest member of the Pegasus I cluster. It has a moderately bright halo and a stellar nucleus. 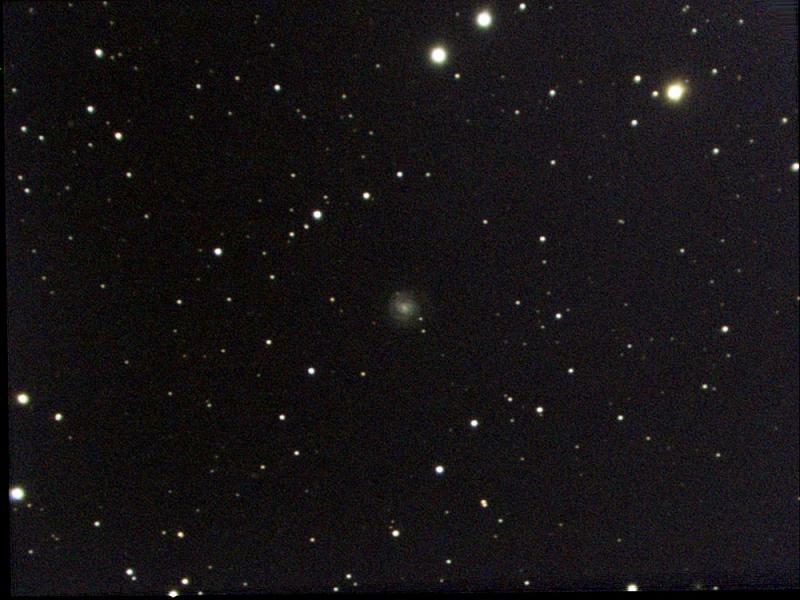 The elliptical galaxy NGC 7626 is the second brightest member of the Pegasus I cluster. It is similar to its neighbor NGC 7619, 7 arc minutes to the west, but somewhat fainter and has a less prominent stellar nucleus. NGC 7623 is a 12th magnitude Spiral Galaxy appearing in the constellation Pegasus. It is 176 million light years from our solar system. 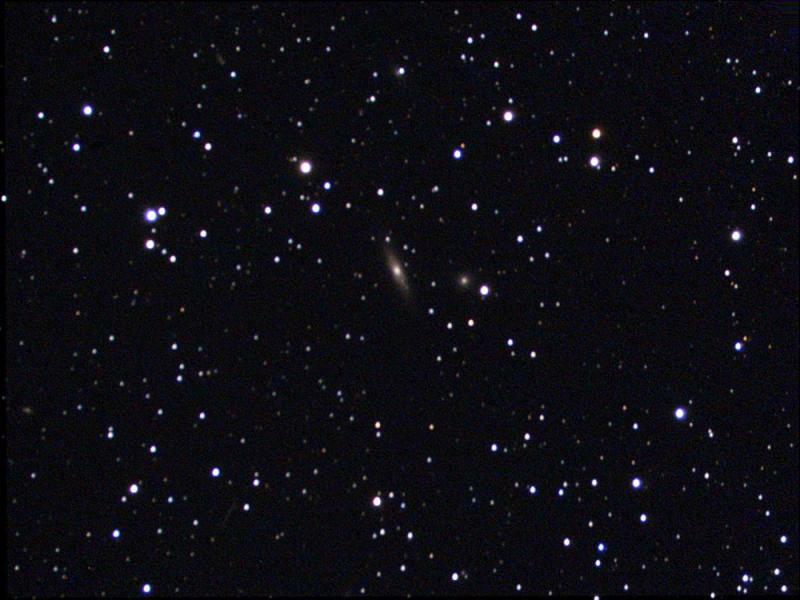 NGC 7623 appears roughly 1.3 x 0.9 arcminutes in size, corresponding to a physical diameter of 68311 light years. It is a spiral galaxy of morphological type S0, and is receding at 3680 kilometers per second - about 1.2% of light speed. 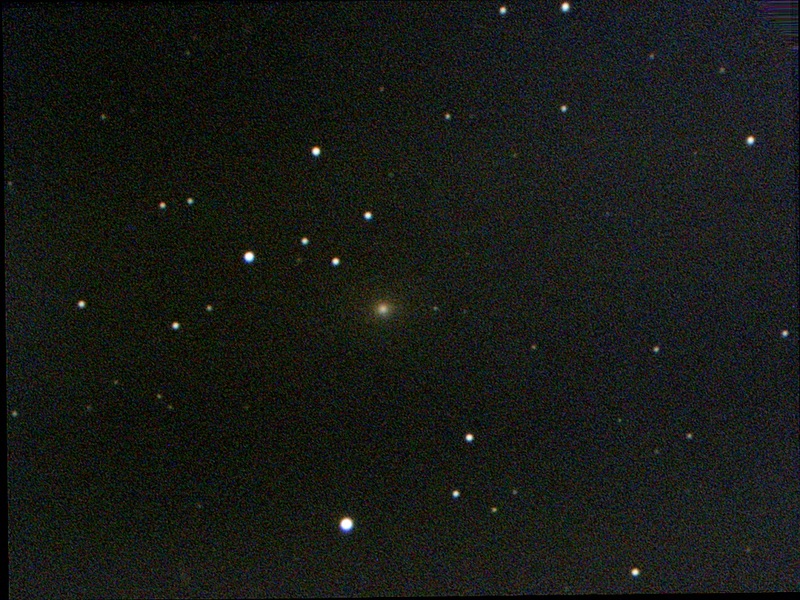 NGC 7562 is an elliptical galaxy paired with NGC 7562A. The galaxy has a fairly prominent, circular halo and is brighter toward its center. NGC 7541 is a Sc spiral with a large, extended core and a faint stellar nucleus. The center is somewhat mottled and slightly brighter along the southern edge. 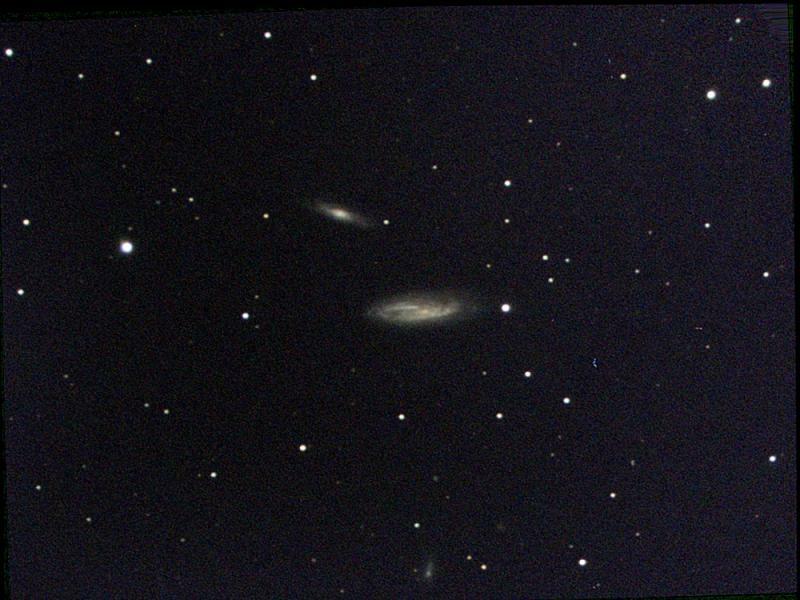 NGC 7541 is paired with nearby NGC 7537. NGC 1058 is a 11th magnitude Spiral Galaxy appearing in the constellation Perseus. It is 35 million light years from our solar system. 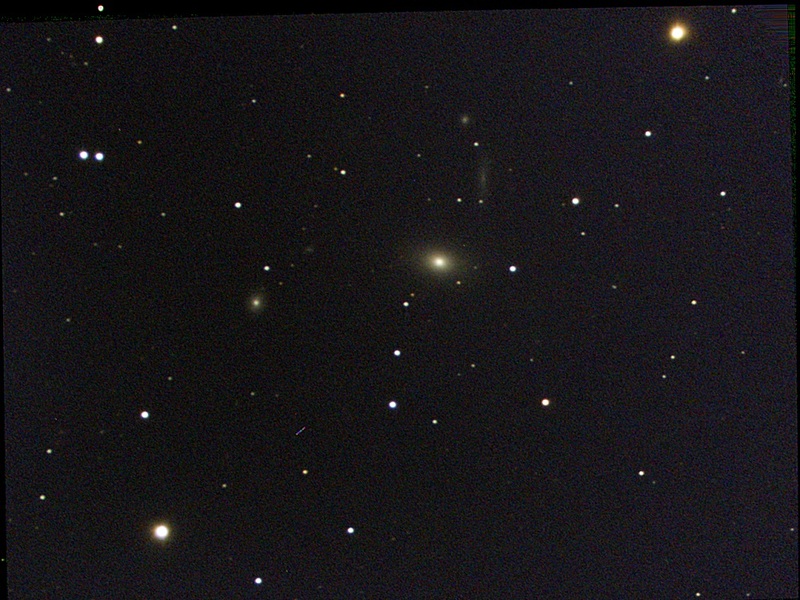 NGC 1058 appears roughly 2.5 x 1.4 arcminutes in size, corresponding to a physical diameter of 24801 light years. It is a spiral galaxy of morphological type Sc, and is receding at 518 kilometers per second - about 0.2% of light speed. NGC 1207 is a 12th magnitude Spiral Galaxy appearing in the constellation Perseus. It is 220 million light years from our solar system. 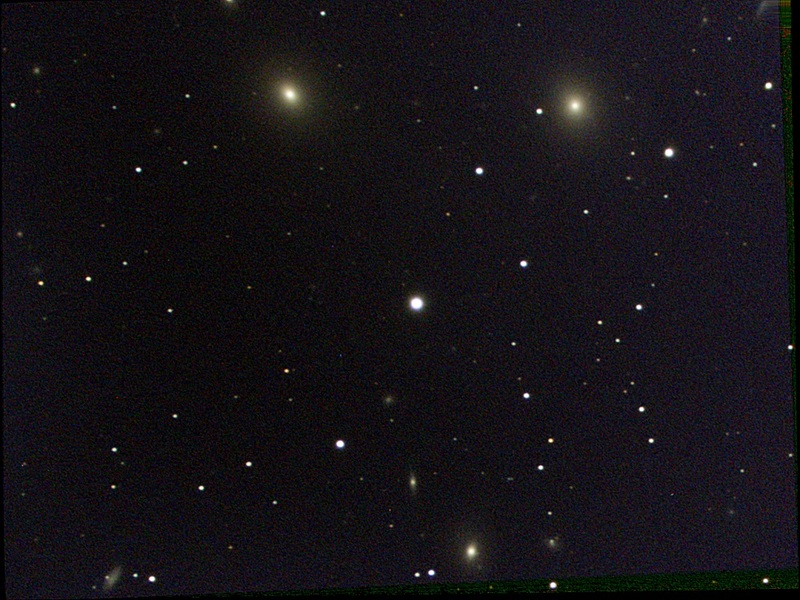 NGC 1207 appears roughly 2.3 x 1.6 arcminutes in size, corresponding to a physical diameter of 147512 light years. It is a spiral galaxy of morphological type Sb, and is receding at 4762 kilometers per second - about 1.6% of light speed. NGC 890 is a 11th magnitude Elliptical Galaxy appearing in the constellation Triangulum. It is 190 million light years from our solar system. 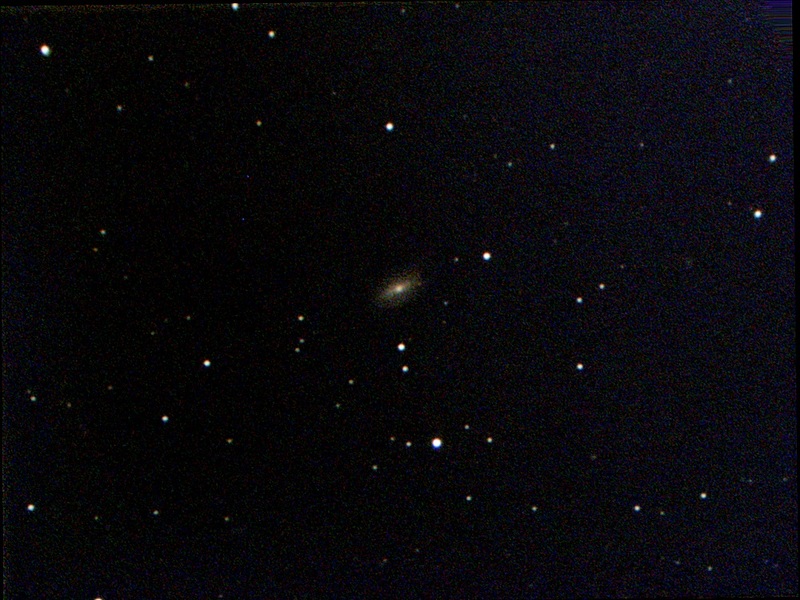 NGC 890 appears roughly 1.1 x 0.7 arcminutes in size, corresponding to a physical diameter of 60694 light years. It is an elliptical galaxy of morphological type E-S0, and is receding at 3952 kilometers per second - about 1.3% of light speed. NGC 1175 is a 12th magnitude Spiral Galaxy appearing in the constellation Perseus. It is 265 million light years from our solar system. NGC 1175 appears roughly 1.8 x 0.6 arcminutes in size, corresponding to a physical diameter of 136429 light years. It is a spiral galaxy of morphological type S0-a, and is receding at 5523 kilometers per second - about 1.8% of light speed. NGC 1012 is a 12th magnitude Spiral Galaxy appearing in the constellation Aries. It is 51 million light years from our solar system. NGC 1012 appears roughly 2.1 x 1.1 arcminutes in size, corresponding to a physical diameter of 30872 light years. It is a spiral galaxy of morphological type S0-a, and is receding at 986 kilometers per second - about 0.3% of light speed. NGC 6997 is a Open Cluster appearing in the constellation Cygnus. It is 2417 light years from our solar system. NGC 6997's apparent size is approximately 8.0 arcminutes, corresponding to a physical diameter of 6 light years. NGC 6991 (just above IC 5076, which is a Bright Nebula appearing in the constellation Cygnus. It is 9318 light years from our solar system. - is a Open Cluster appearing in the constellation Cygnus. It is 2283 light years from our solar system. 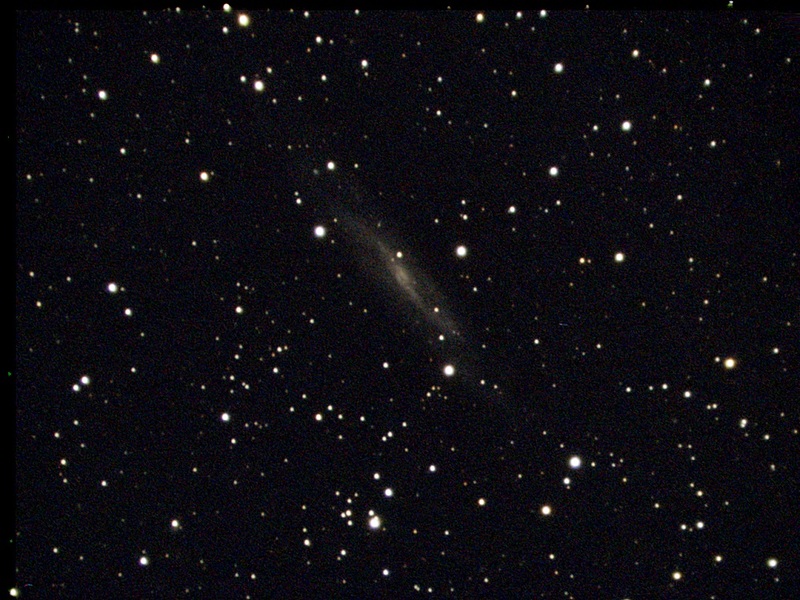 NGC 6991's apparent size is approximately 25.0 arcminutes, corresponding to a physical diameter of 17 light years. 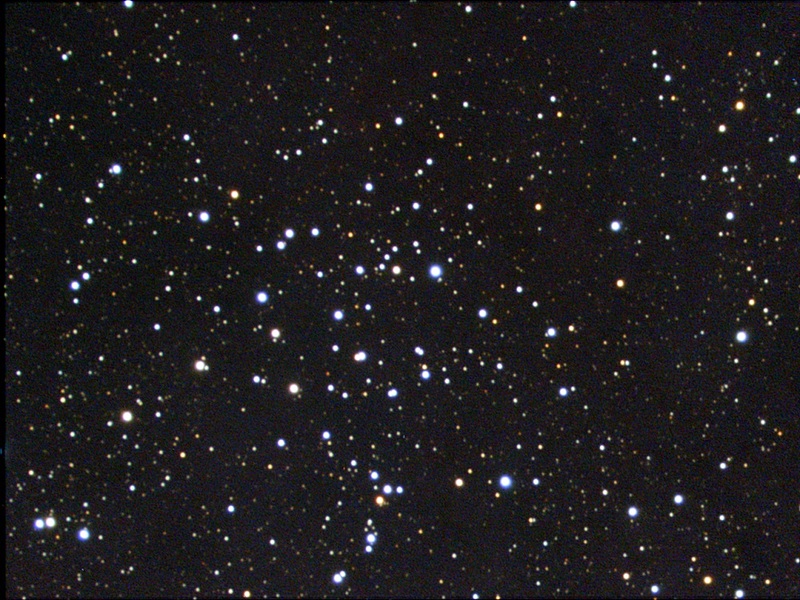 NGC 7031 is a 9th magnitude Open Cluster appearing in the constellation Cygnus. It is 2935 light years from our solar system. 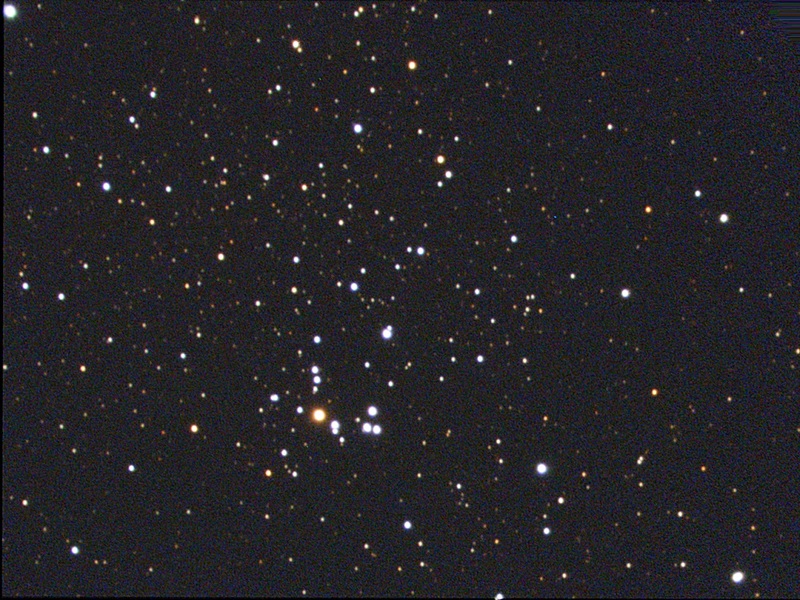 NGC 7031's apparent size is approximately 14.0 arcminutes, corresponding to a physical diameter of 12 light years.